Warren Buffet’s move to buy a railroad company has garnered a lot of attention. His purchase is not only seen as an investment, it is also widely viewed by others as a sign that the recession has bottomed out. As many know, Warren Buffet is known by many as one of the greatest investors today. His firm, Berkshire Hathaway has a significant amount of “cash hoard” from his previous initiatives. How Much Did Warren Buffet Buy the Company For? The firm will be buying the Burlington Northern Santa Fe Corp. at $44 billion ($100 per share). During the last year, the stock price of Burlington has dragged the performance of the Dow Jones Transportation Average. 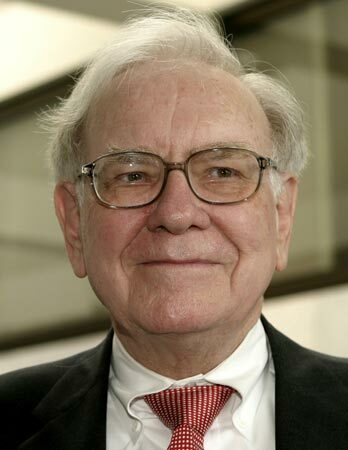 Financial analysts believe that Buffet has paid 18.2 times Burlington’s estimated earning for 2010. The move is not characteristic of the revered investor especially with his past history of not paying a premium when investing new capital. As a result, many think that the explanation behind this is that the man sees hidden potential in the company. Transportation is an ailing industry. As of the November 2 market close, its stocks were dragging behind the entire stock market in the United States at a margin of 15.94 percent. In addition, the number of passengers that the rail services are depressed, a key indicator of an economic downturn. The Association of American Railroads announced that for the week ending Oct. 10, there was weak demand for goods all over the United States. On the West Coast, it was down 15.4 percent and on the East; it was down by a staggering 19.7 percent. Given all this, Warren Buffet’s decision to invest in the railway industry come a surprise to everyone. However, even if it proves to be a good move in Buffet’s part, it isn’t necessarily an indication of an economic recovery.